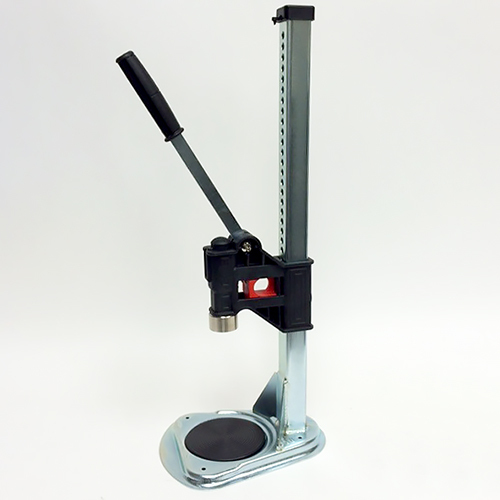 Pull-down type stand capper with brass capping head. Easy height adjustment. Can be mounted onto a stand. Made in Italy. I researched Cappers after my 20 year old, two handle capper got old and cranky and started snapping the necks of bottles mid-bottling session. The Colt Strong Capper had the best reviews in the price range. Out of the box, it performed excellently on a few test bottles. It seems well made and easy to use.